Durham, NH - Mary Ann Esposito will be the featured celebrity chef on the closing afternoon of Fairmont Copley Plazas 13th annual Celebrity Chefs Culinary Program. 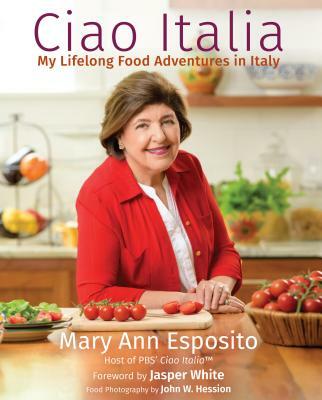 Fans of Ciao Italia in the Boston region can sign up for the class with Mary Ann by visiting the Boston Center for Adult Education website. Click here. The class takes place from 1:00 pm to 3:00 pm EST on Sunday, February 16, 2008 and the cost is $60. The Fairmont Copley is also offering a hotel package for that weekend starting at $299 and includes two tickets to the class and accommodations; 800-441-1414.